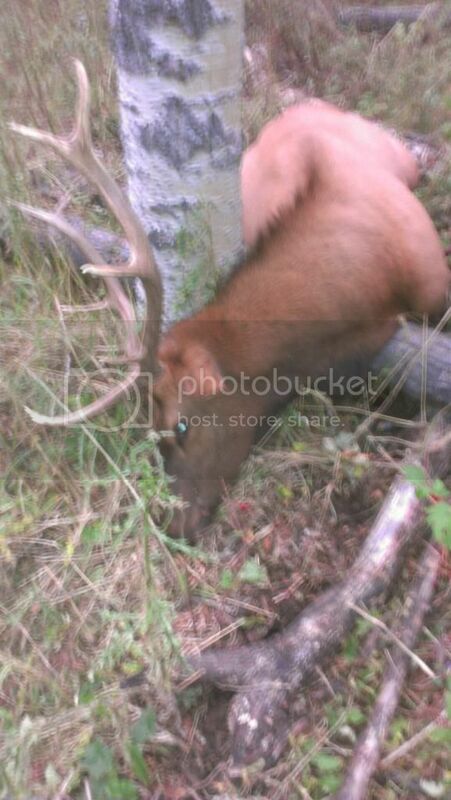 First elk ever and first bow kill!!! 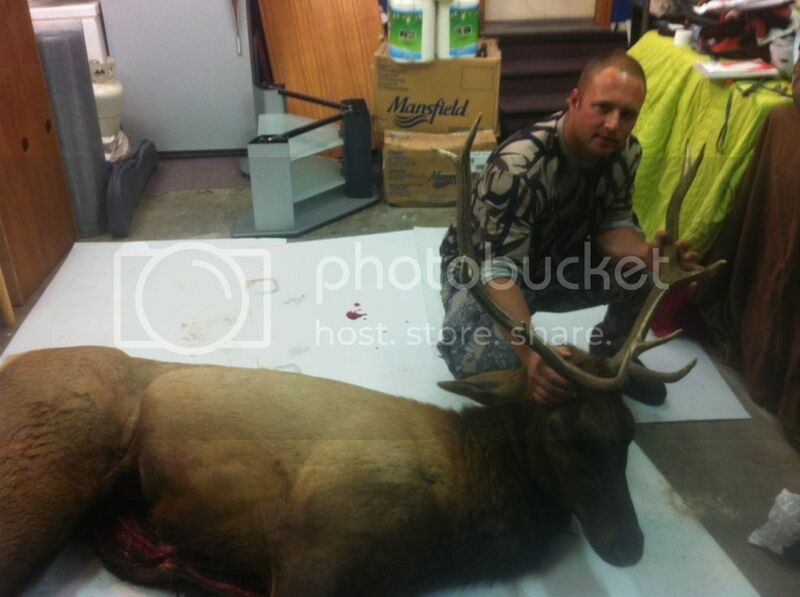 Well friday night i arrowed my first bull elk and also got my first big game bow kill. I was pretty pumped and happy to get the monkey off my back. He wasn't very big at all but hes still a 5x5 and im proud of him. Hopefully justinC can post a pic for me. 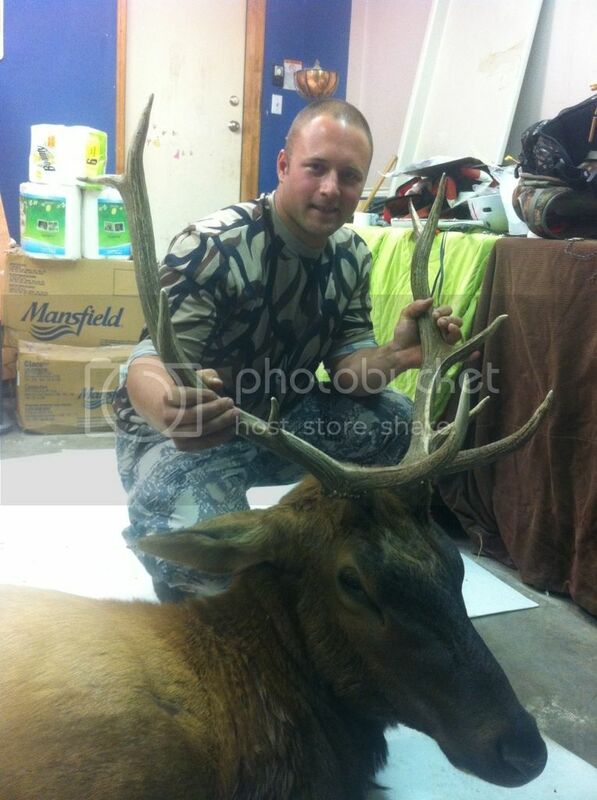 Re: First elk ever and first bow kill!!! Pics would be great, congrats. Sounds great man,, big congrats on the kill. Now,,, lets see some pics.. I'm taking it you called it in. Congrats on your first bow kill and keeping your chit together while a screaming bull was coming down on you. Congrats, looking forward to seeing some pics! congrats on two firsts! love to see pics! Congrats on a fine hunt and harvest. Congrats, looks like you're off to a great start in the bowhunting career!